In 2008, Christian Caron joined the multidisciplinary Pyrotech BEI team as a forensic engineer specializing in the causes of fires. In 2006, he obtained a Bachelor's degree in Electrical Engineering from École polytechnique de Montréal. Christian has conducted investigations at fire sites and prepared expert reports since 2006. He has completed more than 500 investigations at residential, commercial, and industrial sites. He has also kept abreast of the latest innovations in the field by taking innovative training courses. 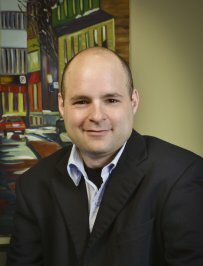 As a result of his professional background, the Court recognizes Christian as an expert witness in the causes of fires. In his spare time, Christian likes to watch and participate in sports. He also likes to travel, especially on sports trips.